The journey of IT has been fascinating over the years, from ad-hoc IT shop to a sophisticated, complicated service delivery organisation. Some of us are doing this well and others struggling. Some are still stuck in the process world, doing ITIL. Shocking as it is it is so very real. 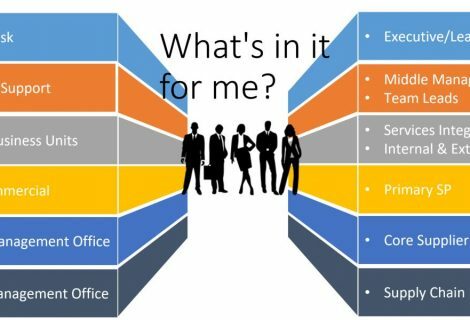 The diagram above shows the IT journey, where are you sitting at the moment? 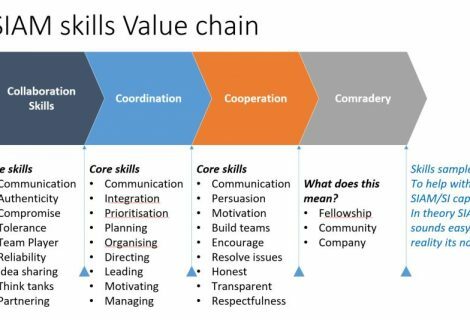 Some organisations today are integrating many delivery offices, IGO, Integrated Governance Models, where you have SMO integrated with your PMO, and often BRO works strategically with the customer and so on. Other organisations are thinking about implementing Service Integration and Management (SIAM), due to their complex multi-vendor ecosystem delivering services to customers. Some IT organisations are embarking on a much more exciting adventure which can genuinely bring Business and IT closer together, ESM. Enterprise Service Management is about applying a service-oriented Business model to the way your organisation works internally. It is about an enterprise-wide approach to delivering services, both Business and IT. Rolling in Business domains into your Service Management capability is the essence of ESM. Where you have the one tool, and place – portal, catalogue, 1place for your customers to go to request services, regardless of whether they are Business or IT services. An Enterprise-wide approach to delivering services, Business and IT together to the benefit of many people. The End User as they have one portal to request either a Business or IT service. The C-suite from a reporting aspect and Management can see enterprise workload and understand where the backlogs are. There are some many primary benefits to rolling in Business domains into ITSM capability. There are so many more benefits to ESM. 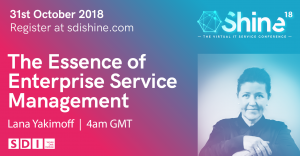 More importantly, there are many lessons to be learnt, and also the ITSM world should share how they deliver and run their services to allow business domains to also benefit from integrated service delivery approach. Join me at #Shine18 Service Desk Institutes virtual annual conference. The session will cover 3 case studies on the good, the bad and outcomes achieved for customers!